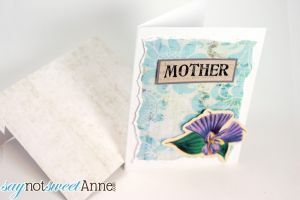 Mother’s Day is a little over a week away and the stores are full of pre-made lovely cards. Every drugstore, department store, and grocery store in the country has some sort of Mother’s Day collection waiting to be signed, sealed and delivered to your mom next Sunday. But do you remember back when the cards you made for mom were construction paper and crayon? I do. To be honest, I still feel the need to make my mommy something. To me, nothing says love like a home-made card or gift. I realize, however, that not everyone is super confident in their crafting skills. Also, not everyone has a ton of time especially those who are mommies themselves! So after I made this lovely vintage flower card for my mom, I decided I would share it with you all too! 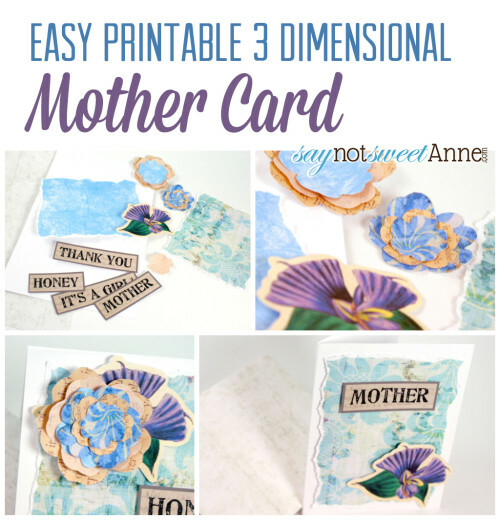 This free printable mother’s day card is easy to put together. All the elements are right there for you to cut out and glue together. And don’t think this is only for Mother’s Day. 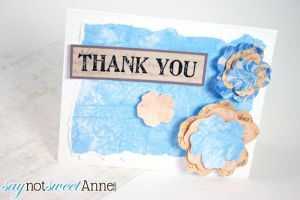 The printable has a couple sayings (including “honey,” “It’s a girl,” and “Thank You”) that you can use for other occasions! 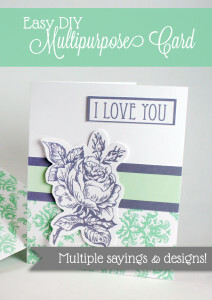 If this design isn’t your thing, check out the Pistachio Colored Multi-Purpose Card. It has a “Mom” saying too! Print out the printable on the card stock. 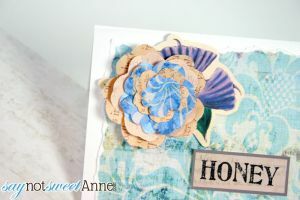 Cut out the card base, the envelope, and any of the adornments you want to use. I chose to tear out the color block, as it adds to the vintage feel in my opinion. Curl the flower petals up by bending them with your fingers. 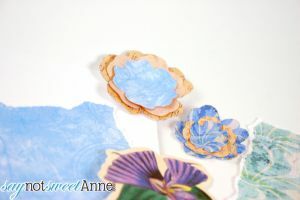 You can layer the flower petals if you want, or just leave them as multiple little flowers. Glue the adornments and saying the to front of the card. Fold and glue the envelope. I like to use glue tape because it is easy.